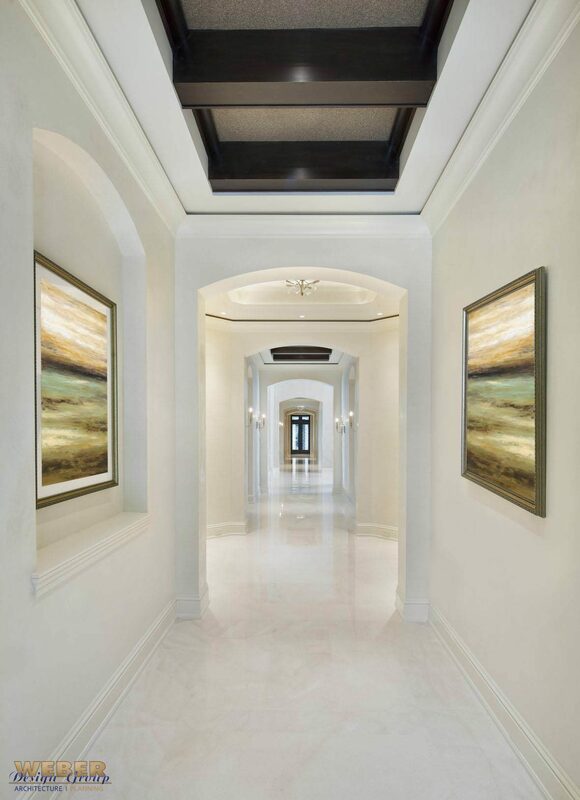 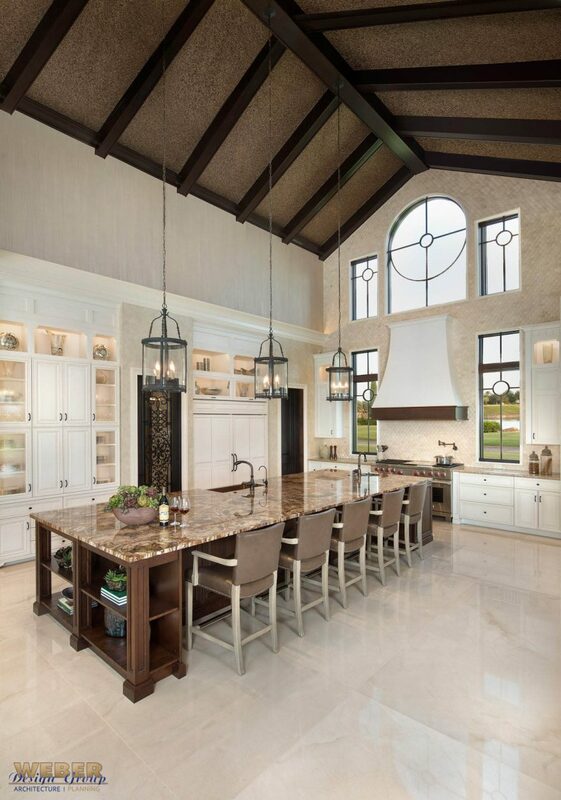 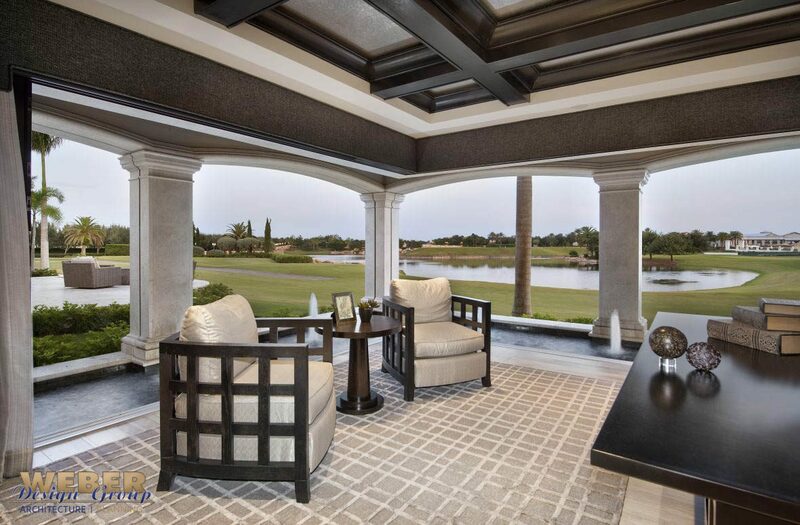 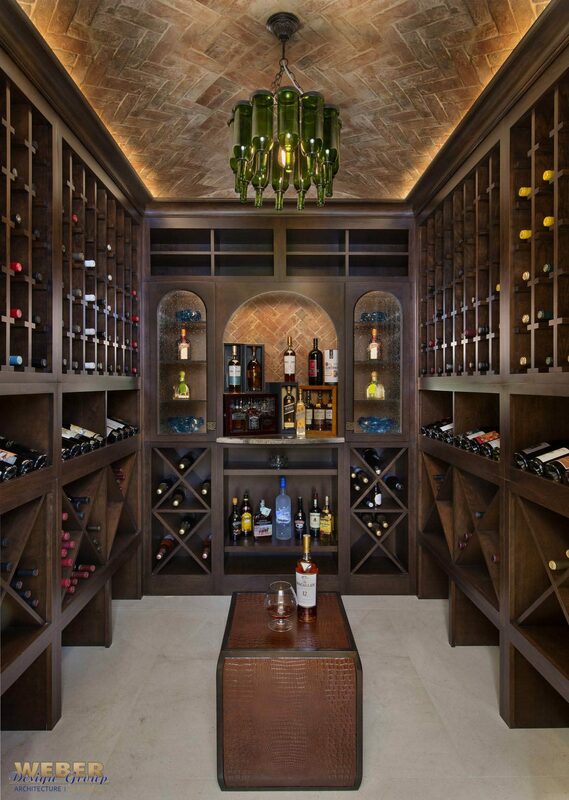 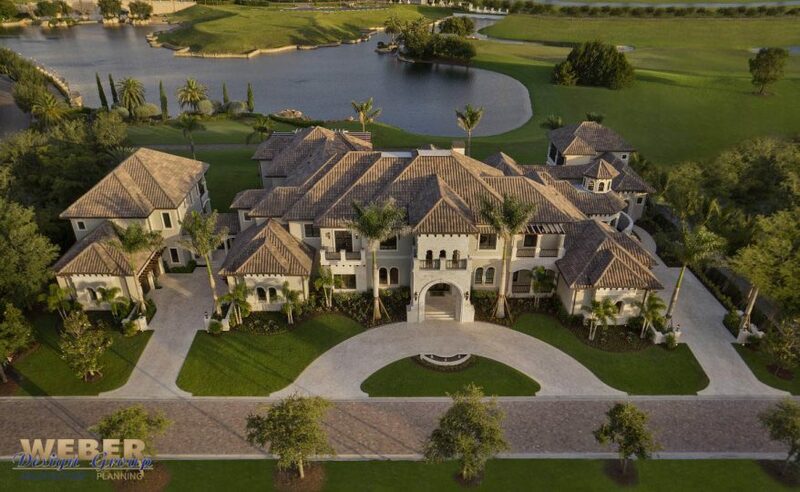 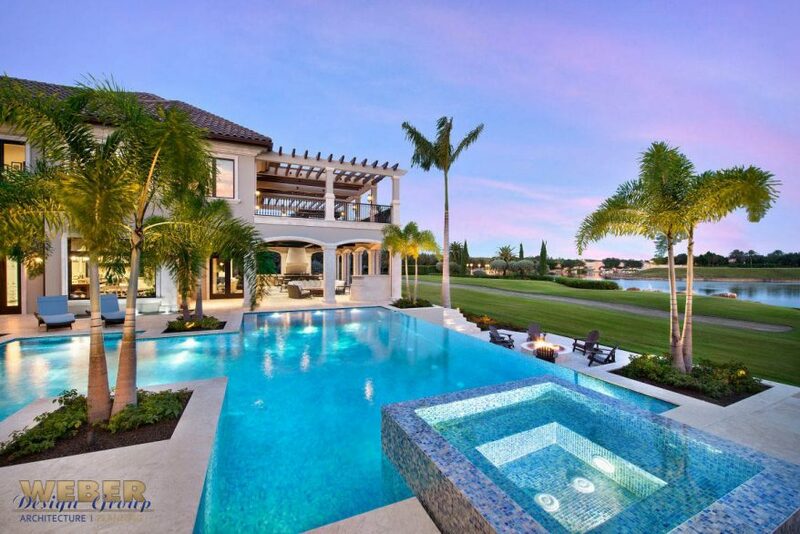 Encompassing nearly 25,000 square feet, this magnificent Tuscan inspired estate home located in the Prato estate neighborhood of Talis Park in Naples, Florida is one-of-a-kind. 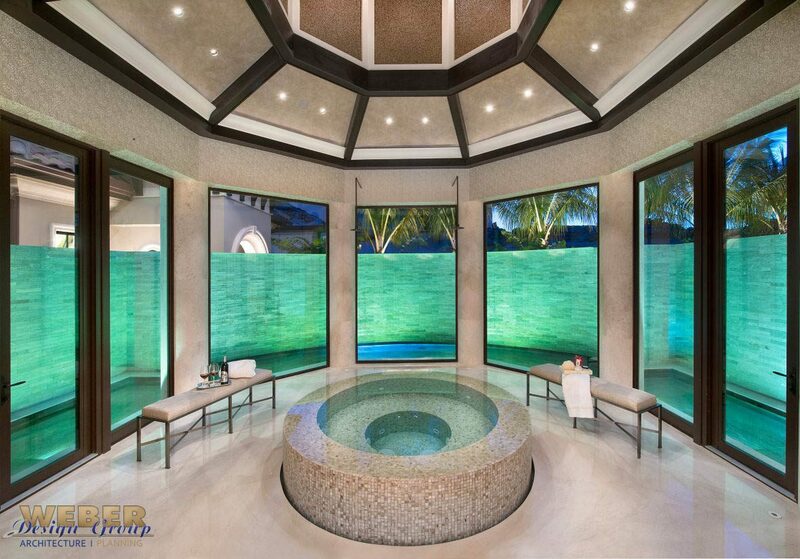 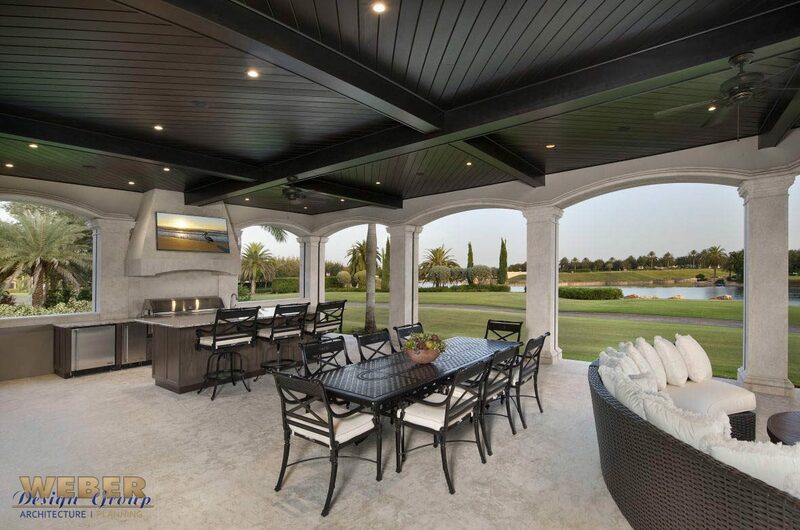 The concept of the design was to provide the homeowners with the utmost in privacy while offering plenty of indoor and outdoor spaces that can be enjoyed together by the entire family. 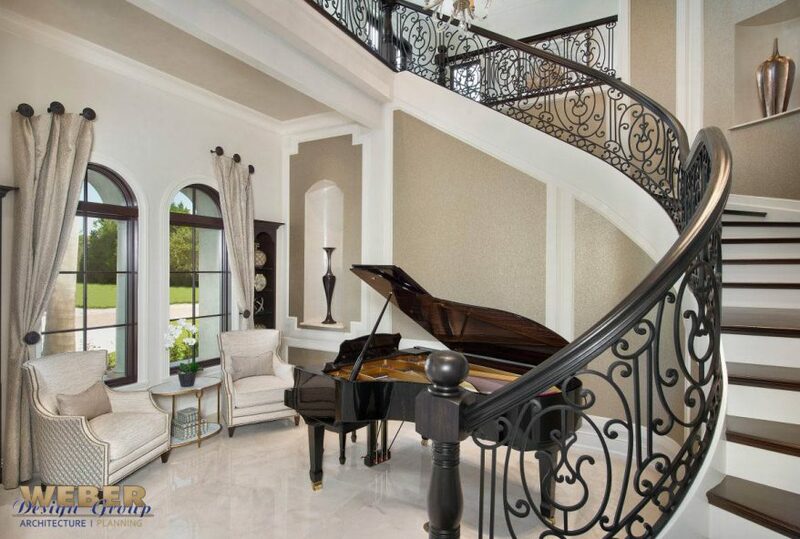 The exterior of the home features a stucco finish trimmed by Galala stone and has a barreled tile roof, arched windows, and entry accented by columns, decorative scroll, beautiful wrought ironwork and trellises. 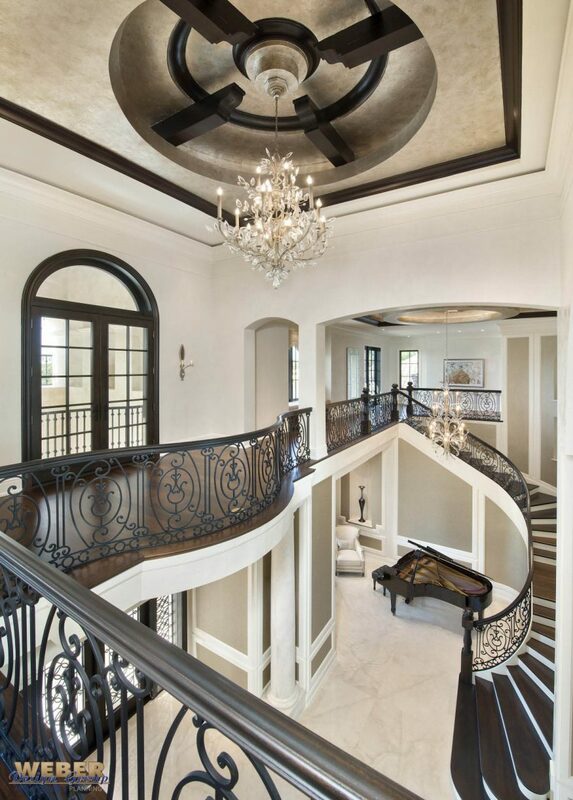 Inside, the two-story foyer is overlooked by a Juliet balcony and has a radial ceiling design with exposed beam. 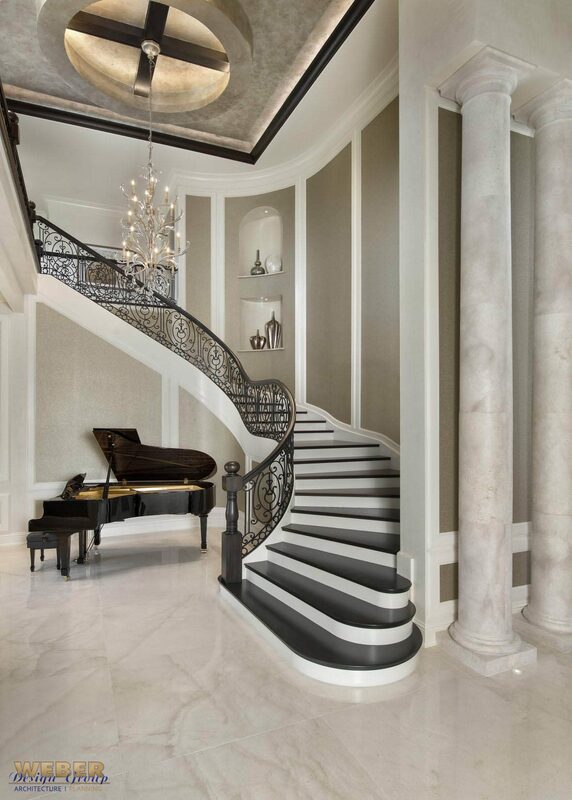 Just beyond is a sweeping staircase and a two-story wall of glass that floods the foyer and formal living spaces with natural light, highlighting the 18-foot fireplace, coffered ceiling, and views of the resort-style pool area. 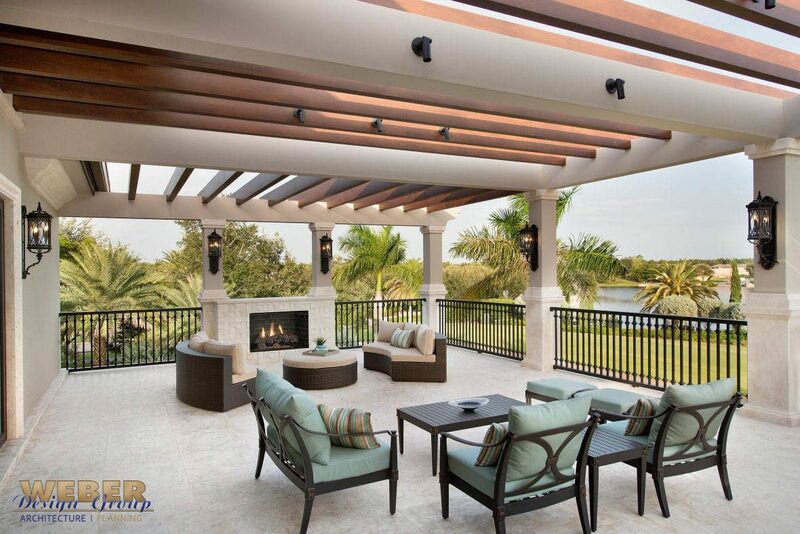 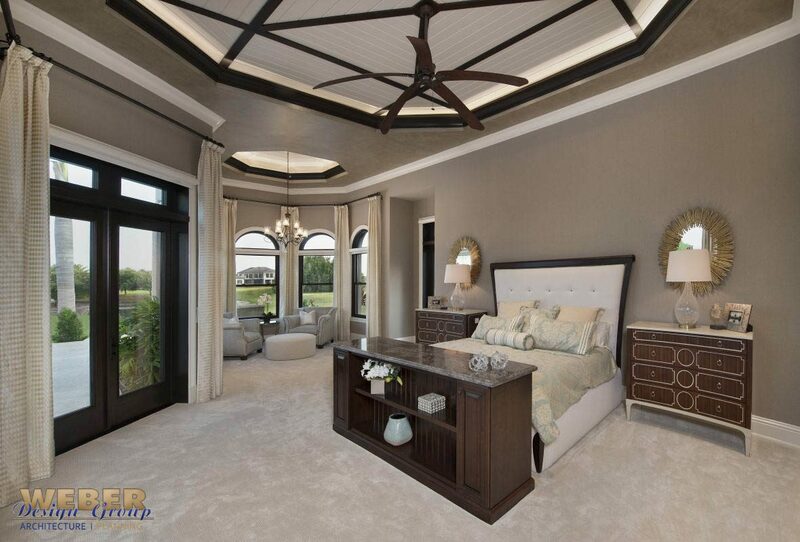 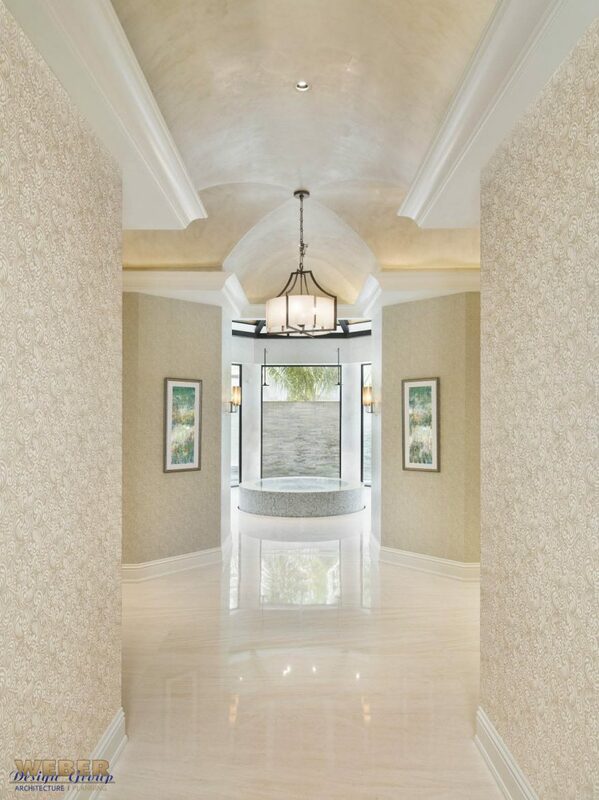 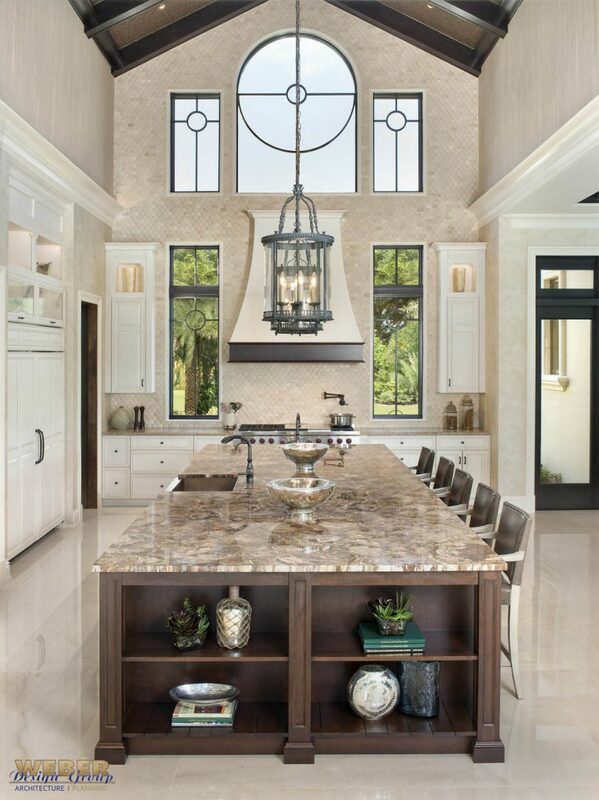 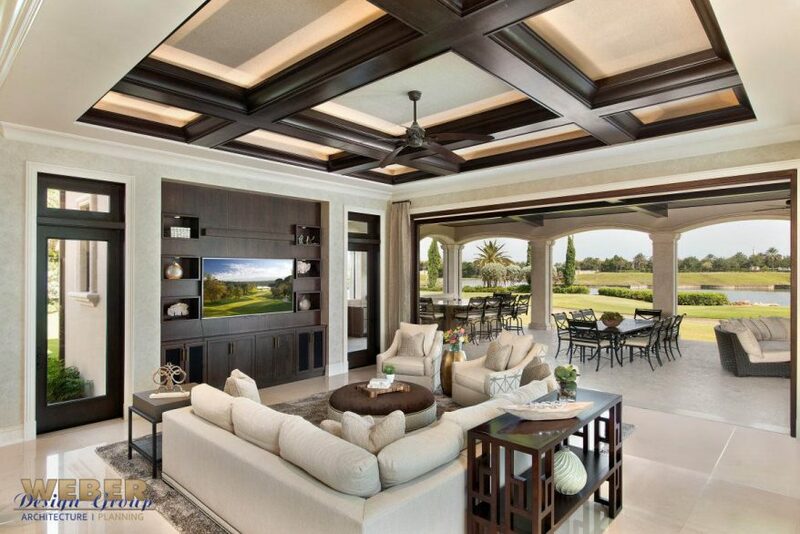 The beautiful sprawling estate features many more unique features and living spaces offering the homeowners and their family ultimate comfort in the lap of luxury.